I admit it, I have a weird sense of humor. 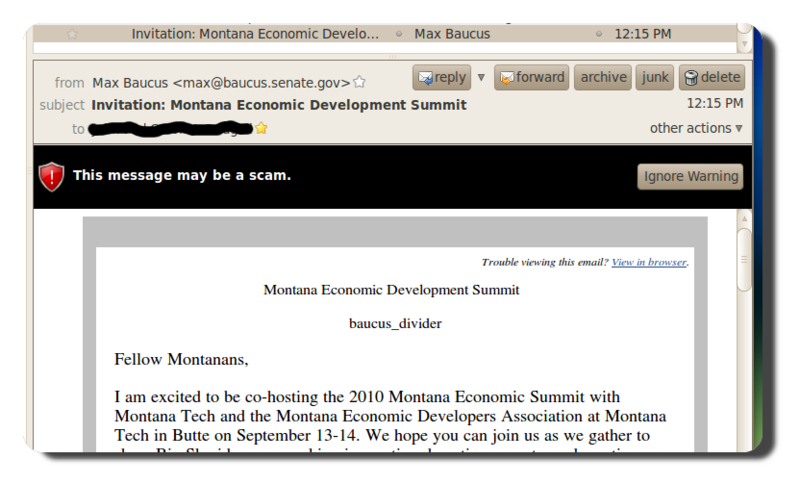 I received an email from Montana’s Senator Max Baucus. You know, the one that helped cram down the multi-trillion dollar “health care” bill down our throats. Anyway, I use Mozilla Thunderbird as my e-mail client (program). And, guess what! Thunderbird thinks that the e-mail from Max Baucus may be a SCAM!! Yup, Thunderbird is a pretty smart program, but be careful if you decide to “Ignore the Warning”! 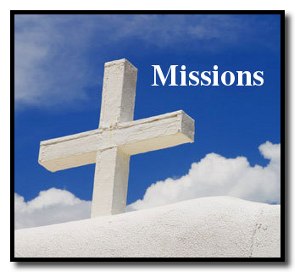 Click on the screen shot for a larger view.